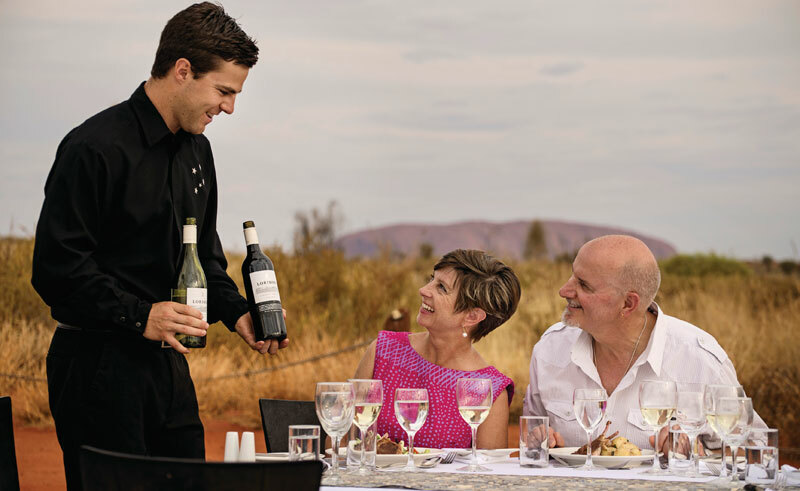 Enjoy canapés and champagne as you watch the sun set in a hue of red and orange over the Uluru-Kata Tjuta National Park whilst listening to sounds of the didgeridoo filling the air. Enjoy a delectable gourmet BBQ buffet of authentic Australian delicacies such as emu, kangaroo and crocodile washed down with a selection of some of Australia’s finest beer and wine before joining the resident astronomer who will take you on a tour of the southern night sky. After dinner savour the sounds of silence as you sip on tea, coffee or port before returning to your Red Centre accommodation.